I get lots of emails asking for a hiking equipment list along with gear recommendations. 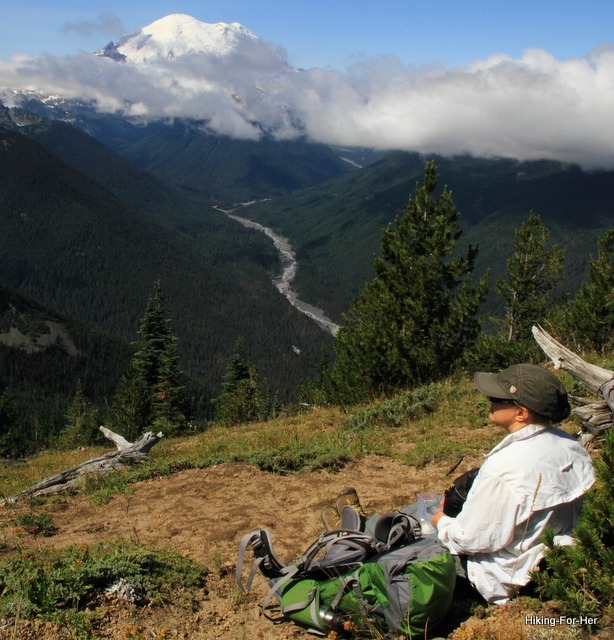 The equipment used for hiking is a personal choice, but there are some basic guidelines. Most questions run along the lines of "What is the best hiking gear you've found for (fill in the blank with types of hiking)." And those who prefer to spend their leisure time on a hiking trail, depending on reliable gear reviews from trusted sources of hiking information. This hiking equipment list information should satisfy both! But first, a question for you. Do you see yourself in one of these approaches to crafting a hiking equipment list? Or perhaps you're reading this to come up with the perfect gift for hikers in your life? Regardless of which camp you're in, I'm hoping you'll find this Hiking Equipment List to be valuable in your planning process for your next big outdoor adventure, or next gift giving occasion. I'll keep it bare bones and fast by linking directly to the gear, using just a small handful of outdoor gear manufacturers I trust and use myself. Rather than going through all of the technical details for each piece of gear for you,this will help you hear straight from the folks who can get that gear into your hands fast, and at a fair price with a solid guarantee of quality and good service. Be sure to read customer reviews for a complete picture. Using these links will earn Hiking For Her a single digit (i.e. very small) commission if you purchase the gear, but it won't cost you anything extra. 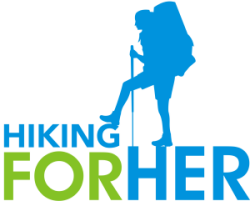 Thank you in advance for supporting this website by using these links to get the best hiking gear! Just starting out as a hiking gear buyer? If you want a quick overview of how to buy hiking gear, I've written one just for you! Confused about the differences between hiking gear and camping equipment? Read this. Any one who values staying warm, dry, well fed and happy for at least one night away from home, which includes overnighters and backpackers. I am defining hiking equipment as whatever you use to make your trail time safe and comfortable, but I am excluding outdoor apparel from this hiking equipment list. If you're interested in the best hiking clothing that I recommend because I use it myself, season after season, read this. Always keep your lists in a handy spot, like a trail journal. Hiking equipment list for dayhikers: what's on your feet? I always start with feet when I approach any hiking topic, and building a great gear list is certainly not an exception to my rule! For well maintained, non-rocky trails, these lightweight KEEN boots are great. thicker, cushioned outer socks like these or these. 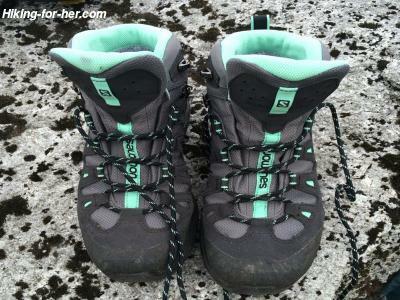 Heads up: Keen footwear tends to run a bit wide, so if you have narrow feet, here are my tips on finding the perfect pair of narrow hiking boots. For rocky, slippery, gnarly-root day hiking trails with a heavier pack, these are a better choice. Backpackers, you're going to need thick tread, shock absorption, and breathability for your hard working feet. These Salomons are what I wear on multi day hiking trips with a moderately heavy backpack. To save your expensive, hard working boots (and your legs) from abrasions and dirt, use a pair of hiking gaiters. Here are a pair from my favorite company, MSR. I've been using my gaiters year after year after year. They ain't pretty, but they work! If you'd prefer to go lightweight on dry, well behaved trails, trail shoes are a good choice but do have some drawbacks. I review my current favorites here. Now that we've got your feet covered (literally), let's move on. Day hikers can get away with really small packs, as long as the ten essentials come along. Both of these companies have treated me right over many years of pack usage, so when I say they're durable and reliable, I'm not kidding. I tend to carry lots of trail food, survival gear, and water when I hike, so you might be able to get away with even smaller versions of these packs if you're doing a short day hike in mild weather. Backpacking requires a larger load, and therefore a larger pack. If you're uncertain about what to look for in a backpack, read this. 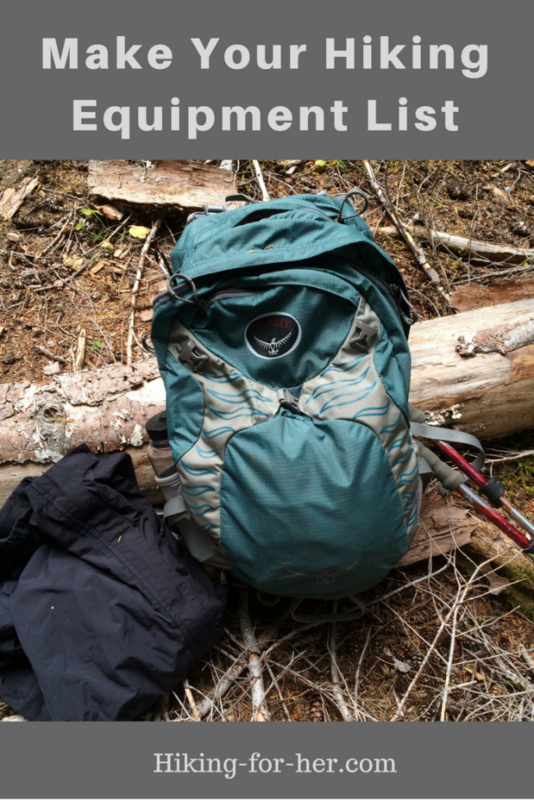 Again, I'd recommend Osprey and Deuter hiking backpacks. These are the companies who are getting women's backpacking gear "right", in my opinion and experience. I can't believe the number of hikers I see who tackle tough trails without using poles. Read this for why I absolutely recommend them. Can you spend less money on poles? But the features you get at the higher end are well worth it to your precious knee joints. Divide the cost of the poles by the 5+ years of usage you'll get by purchasing high quality gear, and it's well worth it when you consider the cost of a joint replacement. And be sure to shop for women's poles. They're designed for our unique skeletal curvatures. My current form of shelter is a tent: MSR Hubba Hubba two person (also available in one person, three and four person versions). Read this to determine if a Hubba Hubba suits your needs. At the very least, enjoy saying the name 3 times fast. My current sleeping bag is a lightweight 3-season "hybrid" (uses down but also water repellent fabric). For a complete description of its features, read my review. I'm using a Thermarest pad like this one, because I love to be warm and cushioned when I sleep. However, I am looking at this one because it's lighter and more compact. That makes it easier to roll up and stow in the morning. The stove I carry for long trips is this MSR Whisperlite. I carry a JetBoil on short winter dayhikes, as a "just in case" safety item. But it makes some mighty fine hot chocolate at lunch time! Not sure how to select the best backpacking stove? If I don't want to carry a stove (such as on cold day hikes when I've got to carry heavier clothing or rock samples), I carry this thermos filled with a hot beverage to ward off hypothermia. It might seem like overkill (designed to keep stuff hot for 24 hours, and a bit on the heavy side), but I like wide margins of safety when I'm in cold weather conditions. Need something lighter but just as bomb proof? Take a look at this line of Hydroflasks. Love the bright colors! All of the backpacking gear included on this pared down hiking equipment list has been through rough weather and long usage, and none of it has let me down. I wouldn't be recommending it if it had! Over the years and decades, I've decided that wise hikers don't buy junk. It's frustrating, annoying and a waste of your hard earned cash. If you can't afford the quality gear listed here, borrow the equipment and save up your pennies until you can own it for yourself. Or regularly scour the on line garage sales at REI and Moosejaw. Quality pays for itself over time. Buy the best gear you can afford, treat it right, and you'll hang on to it for a long, long time. Ready for a thorough gear list? As I mentioned at the top of this page, people ask me about the best hiking gear all the time. If you've got specific questions that weren't answered here, drop me a line using this CONTACT link. Expect a detailed, personal answer from me quickly (unless I'm out on the trail, and I know that you will understand the delay). Or we could set up a gear chat to dig in deep and come up with a personalized gear list for your hiking plans. Either way, happy, safe, comfortable trails to you! 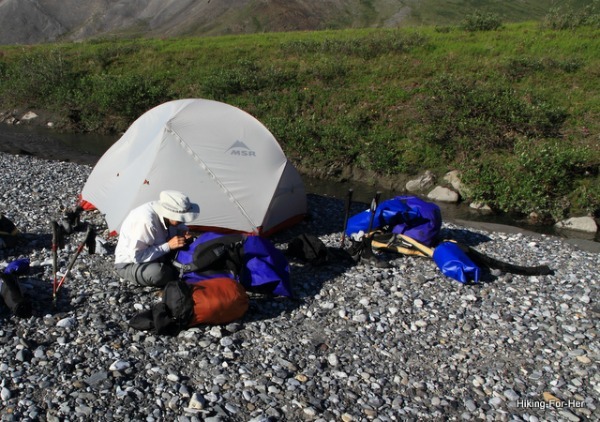 Not sure what the different between hiking and camping equipment is?